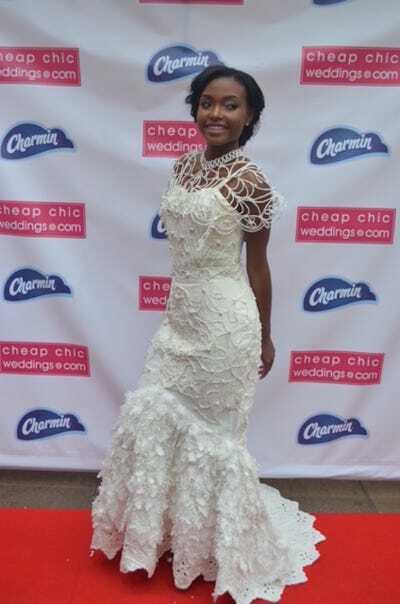 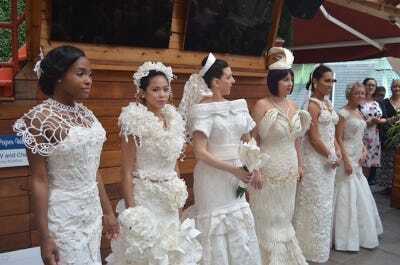 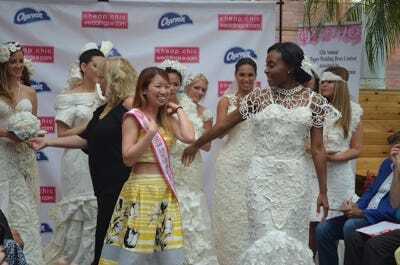 Cheap-Chic-Weddings.comToilet paper can be chic. 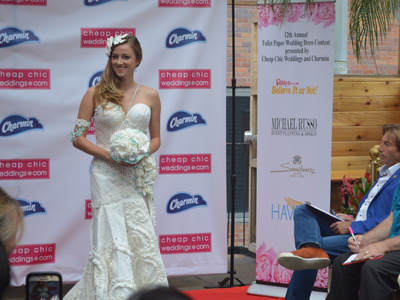 You don’t have to shell out thousands of dollars to find the perfect wedding dress. 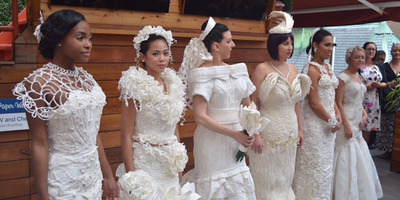 This dress by Roy Cruz was voted the fan favourite from online votes.